First stop for brunch is Giraffe World Kitchen. 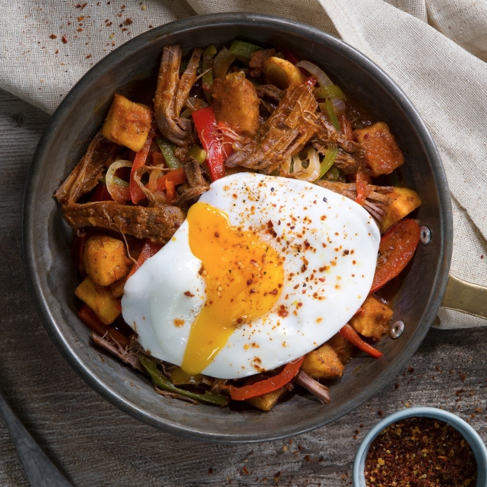 Whether you’re an Avocado Smash kinda girl or a lover of Shakshouka or Pulled Beef Brisket, Giraffe has a great breakfast menu. 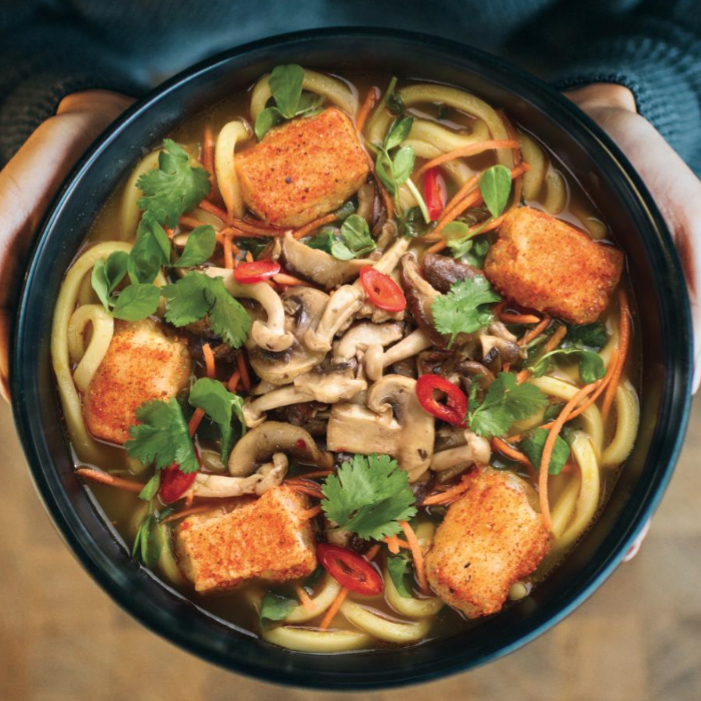 Fuel up at Wagamama, which is focusing on mindful eating this spring. Wagamama is supporting the charity Mind for better mental health and you’ll enjoy colouring in the adult colouring placemats with Japanese designs. Health-conscious girls will love the Super Green juice – 25p from each one sold is donated to Mind. For vegans, there’s plenty of choice on the vegan menu, too. 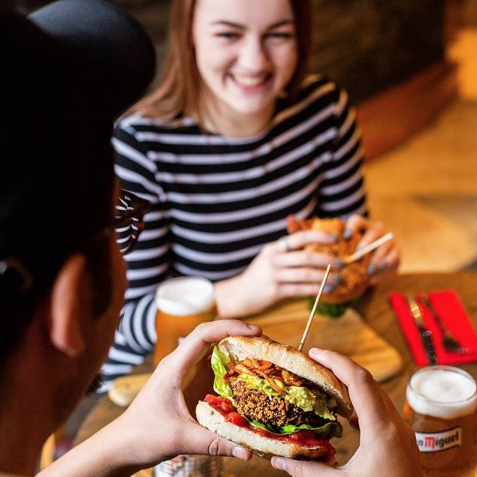 Load up on burgers at Coal Grill & Bar. The Coal Burger is layered with a beef patty, bacon and salad, or there’s the Veggie Supreme Burger, among others. Bring on the grilled food for a girls’ night out! If you’re not a member, join the club to get a £10 voucher as a welcome gift. 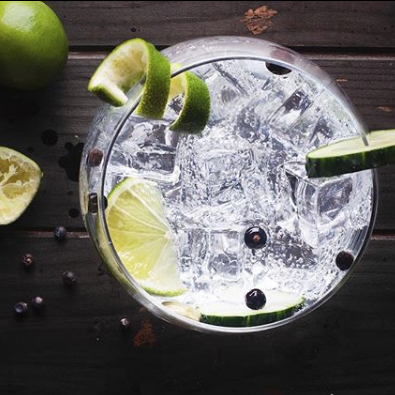 Get to know your gins at Lloyd’s Lounge! The gin twist cocktails have a dash of Salcombe gin, Botanist gin, Tanqueray No 10, Hendrick’s or Gin Mare. Devon’s Salcombe gin, distilled in a boathouse bordering the coast, is so refreshing. Lloyd’s Lounge Sicilian Brunchini is made with Salcombe Gin, Triple Sec, Lemon Juice & Blood Orange Marmalade. For the best breakfast pancakes in town, head to Coffee#1. 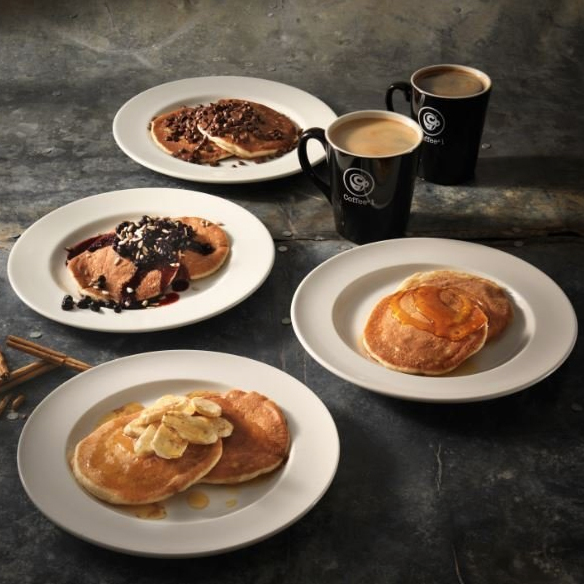 Choose from Banana & Cinnamon & Honey; Blueberries, Seeds & Maple Syrup; Chocolate Chip; Maple Syrup or Plain. 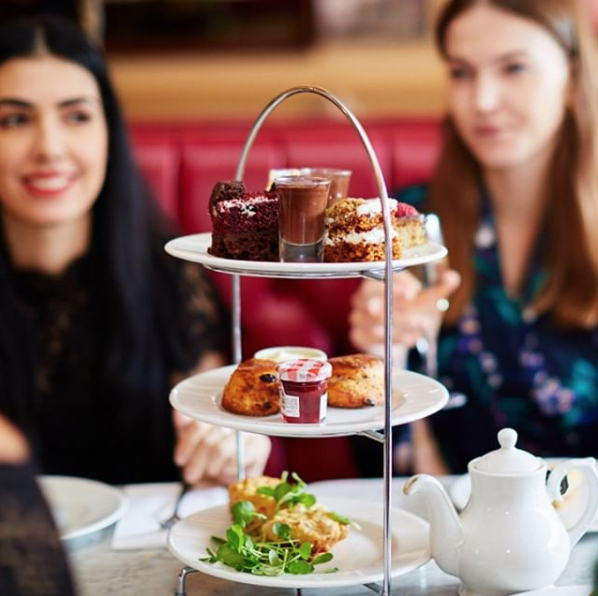 Find joie de vivre at Café Rouge as you share afternoon tea among friends. Enjoy delectable cakes, chocolate mousse, fruit scones with clotted cream and strawberry jam. The pièce de résistance – slices of Croque Monsieur. Afternoon tea for two is £25, or with prosecco, £30. Available every day from 12-5:30pm.